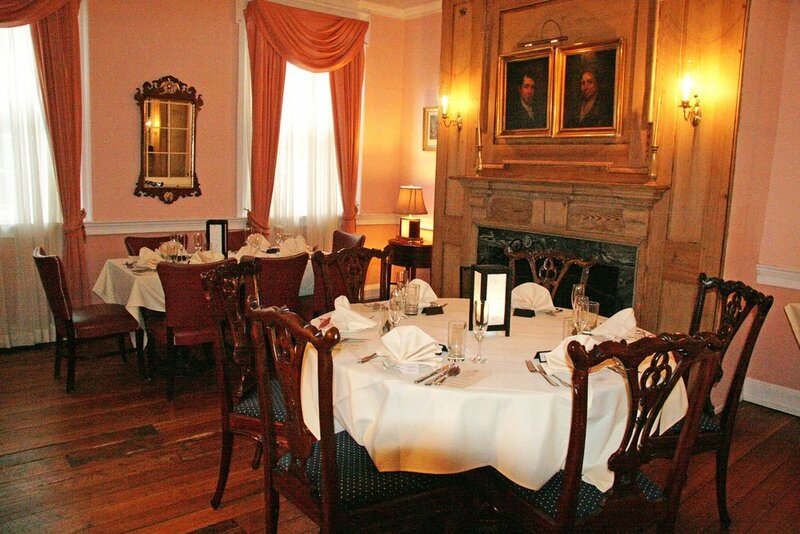 Located just a few blocks from the Liberty Bell and Independence Hall, M is a true culinary gem, nestled inside the historic Morris House Hotel. While M's setting may be traditional and elegant, we skip the rigid formalities of dining and prioritize the quality of food and casual ambience that's always warm and inviting. "Voted Most Romantic" and "Best Ambience" by Open Table, and "Best Outdoor Dining" by Philadelphia Magazine and Open Table, M Restaurant serves an affordable menu of creative, seasonal/locally-sourced fare, blending new American and European cuisines. Much of our fresh produce even comes daily from the local farms of M co-owners, Michael & Tracey di Paolo and Deborah & Gene LeFevre. Link to the Menu page for details. We invite both hotel guests and neighbors to come enjoy our special menus, creative socials, live music, and more. Check our Calendar for more fun times ahead at M! Evocative of the South of France, our exquisite outdoor spaces afford a serene escape from the stresses of the city. Explore and relax with a cool cocktail or fine vintage in our lush garden, surrounded by majestic, historic trees and flowering landscapes. We also feature live jazz outside during the summer months. M Restaurant was awarded top restaurants with a view by CBS Philly, yet another reason to come discover this unique Philadelphia garden. M Restaurant and the Morris House Hotel are also a departure from the usual when it comes to venues for weddings, parties and events. Celebrate in our beautifully-appointed dining room, or outside in the formal gardens. With an intimate capacity of 120, M and the Morris House is a highly-coveted venue for all types of events, from bridal showers and rehearsal dinners, to full weddings, corporate gatherings and happy hours. And the rumors are true, M Bar and its garden are the top spots in Philadelphia for proposing! See Weddings & Events for more information. M's parent property, the elegant and gracious Morris House, was originally known as the Reynolds House, the stately home of the Reynolds family. Built in 1787 following the American Revolution, the Morris House takes its present name from the prominent Philadelphia family who occupied the elegant home for 120 years after the Reynolds. The building's Pre-War, Colonial design followed the same seminal architectural style of Independence Hall. Records show only slight differences between the Reynolds House and the nation's “First White House“, located nearby at 6th and High Streets. It has even been described as its "twin". Learn more about the house's time-honored, illustrious story–link to Reynolds-Morris House on Wikipedia. The original Morris House Library and Reynolds Room are exemplary of the style found in post-colonial homes of the privileged and educated. Both are ideal venues for corporate meetings and dinners, family occasions, baby and bridal showers, and intimate rehearsal dinners, and evoke a more gentile era. The original working fireplaces, preserved amenities, and decorative colonial flourishes add to the quaint period experience, making your event an occasion not soon forgotten. Open year-round, the Library and Reynolds Room serve as homey breakfast, work, and reading spaces for hotel guests when not reserved for an event. The Library has a notable history, with many prominent, legendary figures from the nation's beginnings having collaborated and, perhaps, conspired there--it's rumored to have been a frequent meeting place for politicians, spies, saboteurs, visionaries, and authors. Come sit for a while, and you'll sense the history that lives in the Library walls! The Library seats 6-20 while the Reynolds Room accommodates up to 15. Please note, advance bookings are required for The Morris House Library and Reynolds Room.